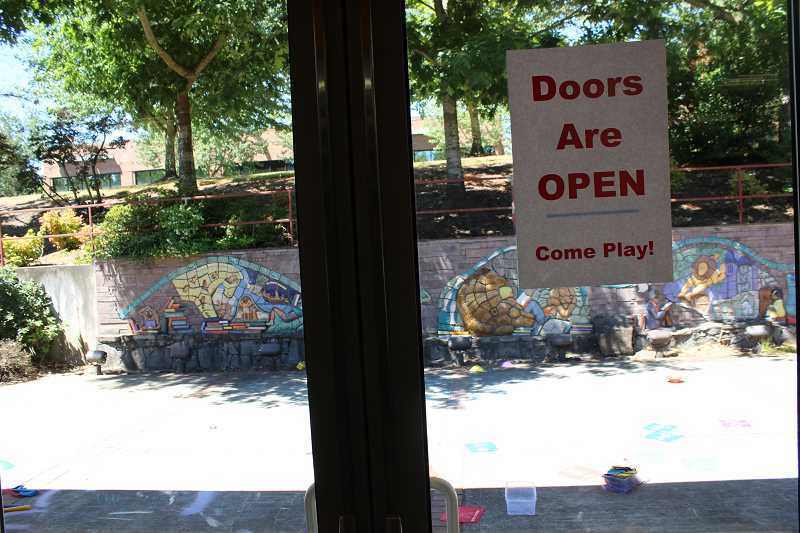 With the major components of the project to renovate the Wilsonville Public Library wrapped up, Library Director Pat Duke is excited to reveal the results of a process that has lasted over half of a year. The Library will show off its new digs at the Grand Re-Opening Party Friday, July 20. The all-day event will include a bookmark-making station, a presentation of the movie "Cars 3," cake on the patio, rock painting and music by Melanie Kubik. Also, during the main portion of the party from 6:30-to-8:30 p.m. Duke and Mayor Tim Knapp will give speeches and the Wilsonville Library Foundation and the Friends of the Library will hand out prizes. "It's just a time to get together and appreciate the building," Duke said. Duke is happy with how the library turned out, particularly the openness of the main area of the building, the new entrance, the door from the children's room to the patio, the paint, the heating and air conditioning system and the secluded teen area. "A surprise for us is we wound up taking the front door completely off. It feels really nice and so much more fluid and inviting," Duke said. "As you come into the building itself you can see the library stretching out in front of you and the color. It's a much more inviting space." He added: "I certainly hope more people will be visiting the library; that's certainly why we're here." Duke said adding furniture and changing library signage are next on the staff's to-do list. "We need people to be able to find where they're going," he said. "We'll be looking for something that matches the interior design of the building and people who are looking for direction." In his speech at the Grand Re-Opening party, Duke said he will thank the many people who made the project possible. "In a project like this there are a lot of people who contributed in various ways to getting it done and I want to take the opportunity to thank them publicly for their efforts," he said.